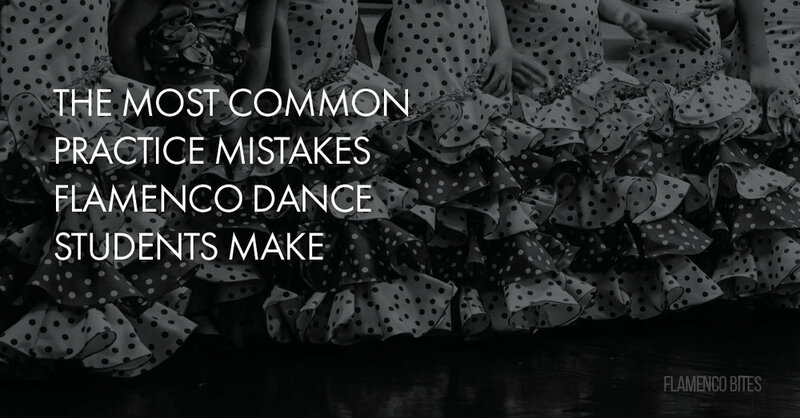 Whether you have just started studying flamenco dance or your have been at it for a while there is always room for improvement when it comes to practice. Here are some of the most common mistakes we see when it comes to practice. There is a reason the fundamentals are called fundamental. They are the most important part of your practice and the amount of time you spend practicing them will be an investment that will see consistent returns in your future dancing. It can be tempting for beginners to want to jump ahead to the 'fun stuff' and while spending time playing and experimenting with advanced steps/techniques is great it shouldn't take the place of your fundamental technique practice. It isn't a race! If you are dancing too fast or your start at one speed and quickly let the tempo of your step run away from you you have lost control of the compás. We do need to eventually be able to dance at a certain speed but always with control and awareness of what we are doing. Slowing things down enables you to develop awareness of how your body moves, make corrections and build muscle memory. It will also help you to develop your ear and sense of rhythm. This one goes hand in hand with your fundamental dance technique. We often hear from students saying that they find it difficult to understand and embody flamenco rhythms. Often the same dancers are using advanced palos for their practice such as Seguiriya or Taranto before they have become comfortable with Tangos. It's fun to spend time experimenting and playing with advanced palos (and we encourage it) but don't lose focus on developing your mastery of the basics. Consistent practice is the key to seeing improvements in your dancing. 10-15 minutes a day rather than 2 hours once a week. How often do you get excited, practice for an hour one day and then life gets in the way, your priorities change and weeks have passed before you think about finding another hour. Instead try to make some kind of flamenco practice a habitual part of your day just like eating or brushing your teeth. To that end, keep things simple. Flamenco Skirt Technique Challenge for danza estudio Flamenco Bites members. 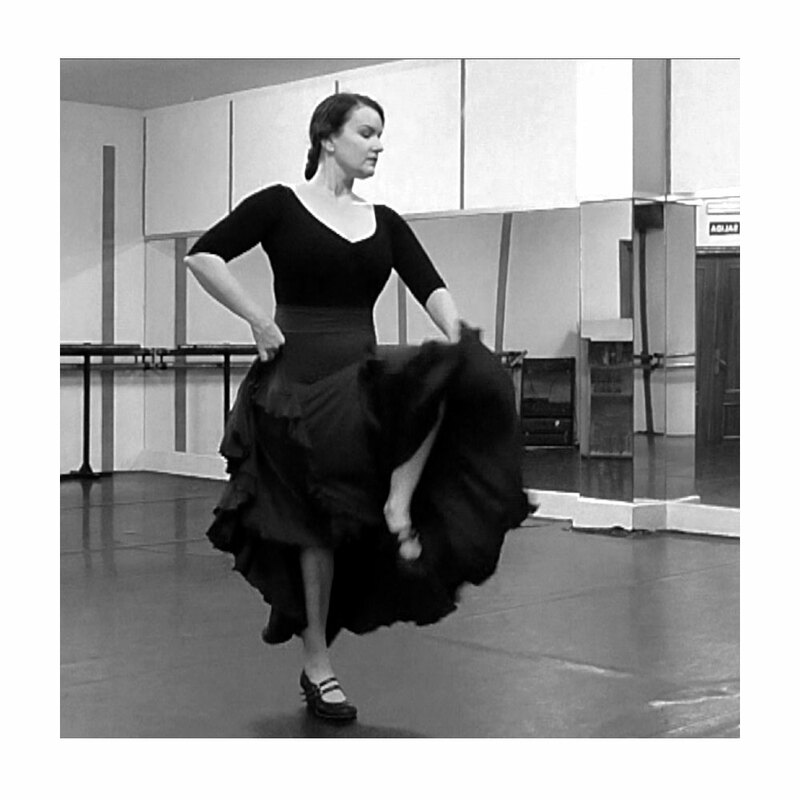 This month in danza estudio Flamenco Bites we are running a short 6 day challenge to help our members with their daily practice based on our flamenco skirt technique class. Each day everyone will do a short bite-sized snippet of class and share their experiences and results in the members facebook group. The exercises aren't difficult but they are effective and at the end of the 6 days everyone will have a new understanding of how to use their skirt when they dance all thanks to 5 to 10 minutes of daily practice each day. Or, assuming that you'll never be as good as .... because you started too late, got injured - insert your reason here. Would you expect to be painting like Monet after studying the art of painting for 6 month or a year? Flamenco is an immense, beautifully complicated art-form that requires a life-time of devotion. Learning how to dance in and of itself is also pretty demanding. You have the ability to improve, you have the ability to dance and to express yourself but give yourself a chance to be bad at it for a while so you can learn. And in a similar way, never assume that you'll only ever get to a certain level of expertise and stay there. If you put in consistent practice (see above) you will improve. Flamenco dance is as much about your personal sense of expression as it is about your ability to master dance technique. As you grow and change as a person, as you experience different things in life your voice as a dancer will change and grow. So don't expect overnight miracles and don't put limits on what you can achieve.